Lam has recently taken on an engineering-focused role at Structures. He joined Structures as a Building Information Modeling Technician with eight years of experience as a structural drafter utilizing Autodesk CADD, Revit, and Navisworks. 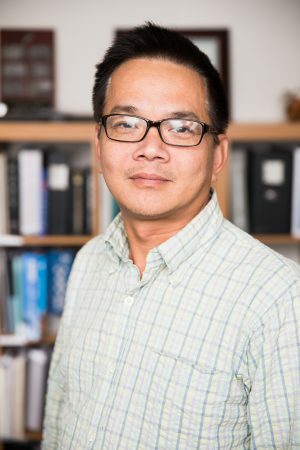 Lam has a unique understanding of structural systems provided by his bachelor and master in civil and structural engineering. This background enables him to proactively coordinate models with architects and other consultants and provide initial framing layouts and sizing. Lam specializes in identifying potential clashes during modeling and through the use of Navisworks. I would probably be at a park, swimming pool, or movie theater with my wife and three kids. Drive a Formula 1 car in a race! I love Texas, so if I couldn’t live in Austin then I’d live in either Houston or Dallas. I flew to Austin to see my fiancee! It’s the first city I visited when I came to the US. Travel to Hawaii and Rome and take the kids on a Disney cruise.